Today is day 19 and I’m writing this in Evernote, on the train going home at 7pm and I’m looking forward to a bit of family time. Although, such is the life of a person running a start-up, I’m back at the hub early tomorrow, as we are hosting an event all day. 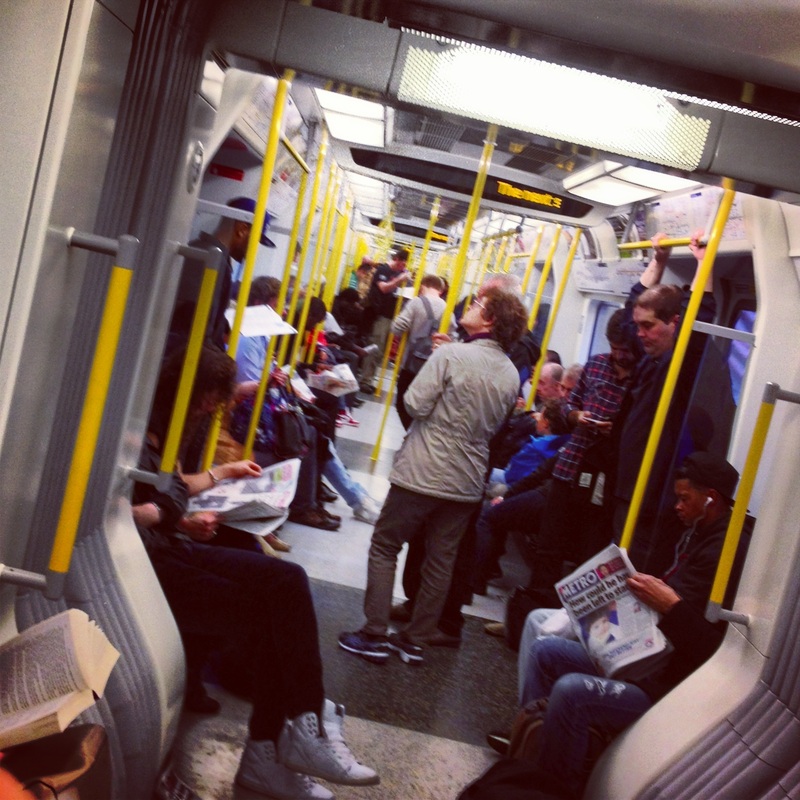 Today’s picture is of one of the new tube trains, that are essentially one big long carriage. The trains have air-con!!!! and are designed to have plenty of room. Wow, why did it take them so long to finally design a good tube train??? My thoughts today were inspired by this, that often things that seem obvious and simple to your users/customers – like taking out the doors between carriages, widening the aisle and putting air-con, don’t always appear so obvious to the providers. Very often I find myself using something, be it a product or a service and I think ‘this would be so much better if they just added/changed this small thing’. Yet it doesn’t happen. Now possibly, my ideas for product improvements might be obvious to me, but in reality I might just be the only one and wrong. However, I know that’s not the case all the time, as when you discuss is with others, you soon find that they agree. I think that a lot of it is due to inertia by companies and a certain amount is because complacency has crept in. When you run a business, you sometimes get so caught up with the internal, non-customer world, that you almost overlook your customers. So many businesses spend their time getting a customer, only to ignore them once they have them. Not bothering to find out what the customer is really experiencing. They assume they are happy, after all they haven’t stopped using us yet! I believe, that in the world of the connected consumer, in both business and consumer products/services, that it has become even more vital to walk in your customers shoes and see what experience they get of using your service or product. The focus has to be on constant evolution and adaptation, otherwise we all risk being exposed on social media for not providing what the consumer wants. If you stay in contact with your customers, live in their world and walk in their shoes, you have a far greater chance of seeing, what they will see, as obvious improvements you can make to continue to provide them what they want.